STRASBOURG, France (Panorama)—A delegation led by Armenia’s Prosecutor General, Plenipotentiary Representative of the Armenian Government to the European Court of Human Rights (ECHR) Gevorg Kostanyan, is on a working visit to Strasbourg, the press office of the Armenian Prosecutor General reported. The ECHR will deliver a Grand Chamber judgment in the case of Perincek v. Switzerland (application no. 27510/08) at a public hearing on Thursday, October 15, 2015 at 11:45am in the Human Rights Building in Strasbourg, Germany. The Republic of Armenia is involved in the case as a third party. “As a third party, the Republic of Armenia expects ECHR to deliver a fair judgment that will not have wordings that could call into question the fact of the Armenian Genocide in a historical, legal or any other context,” the statement continues. “The aim is to prevent a judgment of ECHR from becoming a tool in the hands of those who deny the Armenian Genocide or who will attempt to use the judgment for their amoral purposes,” the statement says. A Grand Chamber hearing of the case of Perincek v. Switzerland was held in the ECHR on January 28, 2015. 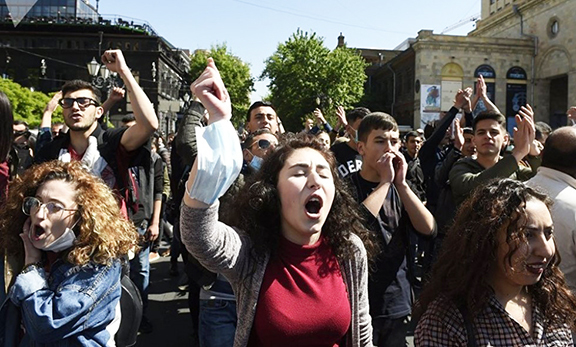 Armenia was represented by Prosecutor General Gevorg Kostanyan, the founder of Doughty Street Chambers, lawyer Geoffrey Robertson, and human rights activist and lawyer Amal Clooney.